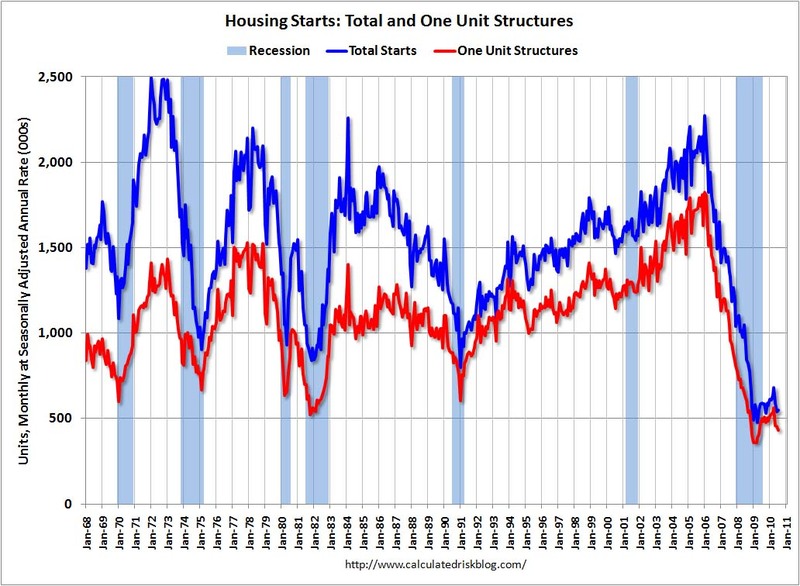 Housing starts for July came in abysmal again this morning at 546,000. Last month's tragic June number was revised down to 537,000. The following chart shows where these numbers stand going back to 1968. The government is meeting today to discuss the future of Fannie and Freddie. The government (tax payers) currently purchase or guarantee 95% of all new mortgage loans being created. Any reduction to this will be catastrophic to home prices. I am fully expecting the government to go the opposite direction and announce more help. Maybe they can move up from 95% to purchase 100% of the mortgages AND make the mortgage payments.